Need some holiday inspiration for Hobart? Here are the best places to Eat, Drink and Play. Hidden at the bottom of the country, for generations mainlanders have escaped to Tasmania in search of greener pastures, fine wines and elusive wildlife. While hiring a car and exploring the windy planes of Australia’s smallest state is a must-do, Hobart itself is a underrated marvel of great ways to Eat, Drink and Play. Historic Battery Point is a marvel of quaint cottages and tight streets. 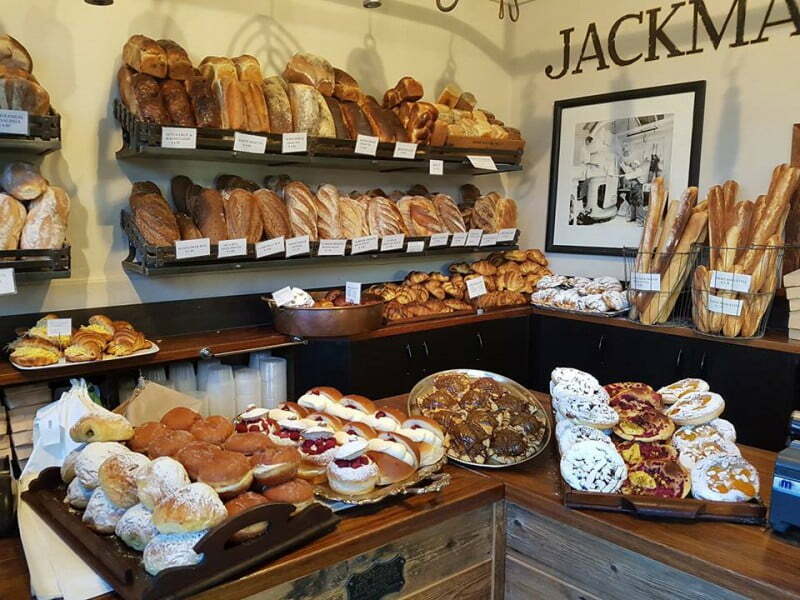 A great place for cosy boutique B and B’s, the waterside hamlet is also home to the butteriest pastries at Jackman and McRoss. The converted corner-store’s cabinet tempts you inside with an overflowing selection of Parisian baked goods. The coffees are hearty and the chalkboard menu of larger dishes are delicious and affordable. No trip to Hobart is complete without tasting the wonders of the deep blue sea, and this dockside venue is renowned for being one of the freshest seafood servers in town. 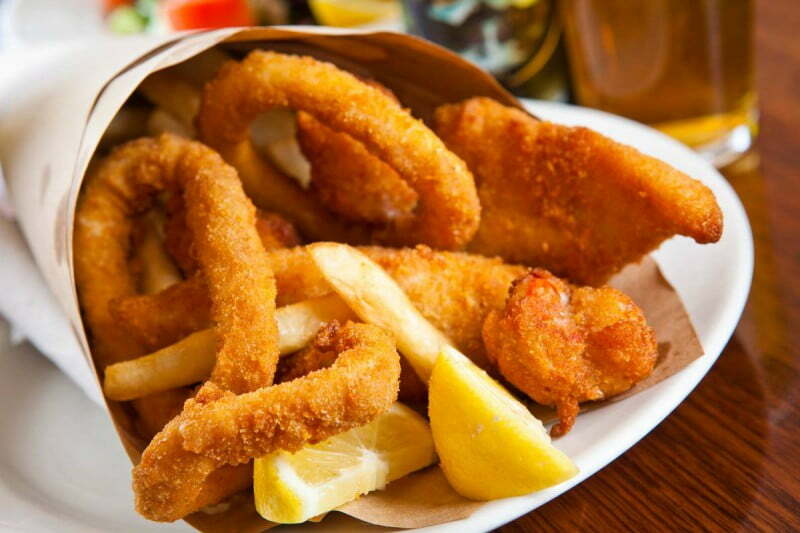 Fish Frenzy is your local Fish & Chippery taken to the next level. 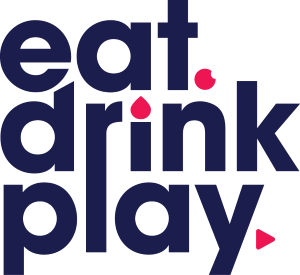 The family friendly restaurant is packed every night with diners busting to try the battered classics, selection of local wines, speedy service and mouth watering scallop salad. Take a stroll inland and Hobart will tantalise you with a variety of funky modern eateries all vying for attention. If you’re in the mood for a high-end affair look no further than Ettie’s. Open from lunch until late, the casual bistro pairs classic European flavours with divine Tasmanian produce. Set in one of the city’s oldest buildings, the simple menu is ideal for an intimate night of sharing. If you have been in Australia long enough chances are you have trialled a brew from the Cascade Brewery. 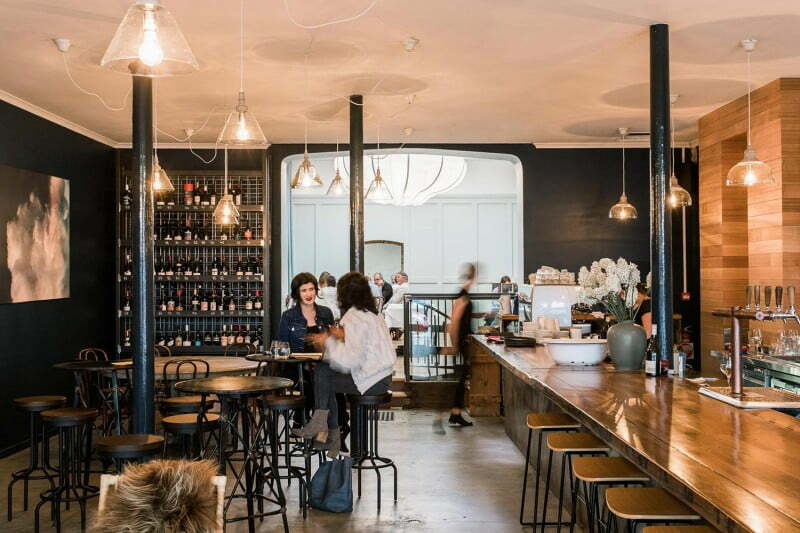 Located just beneath the ice-capped Mount Wellington, the functioning brewery’s restaurant and bar is open seven days. While the kids busy themselves in the green pastures outside, take comfort in knowing you are experiencing the freshest Cacscade brews straight from the tap. 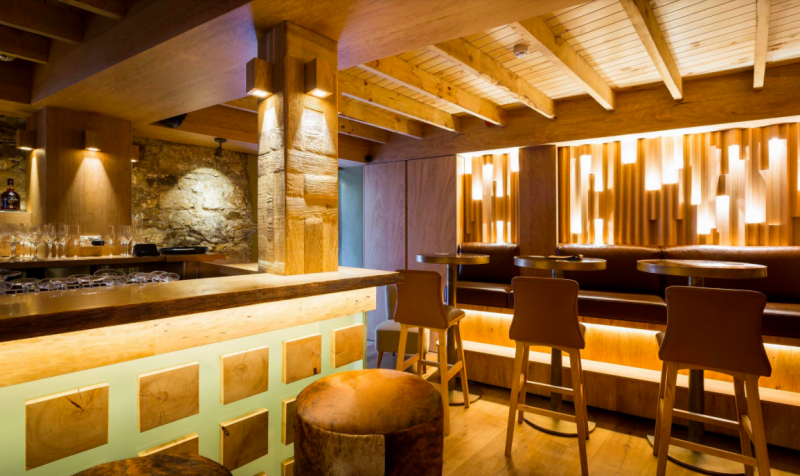 The sexiest and slickest bar in town, The Den has reimagined the historic Salamanca strip. Spreading across two floors, The Den is a pulsating hub of excitement and mystery. Drawing inspiration from a ski-lodge chateau, the dimly lit venue serves up produce-rich finger food and an array of drink selections. As the night carries on and the music intensifies, The Den will have you bewitched by its charm. 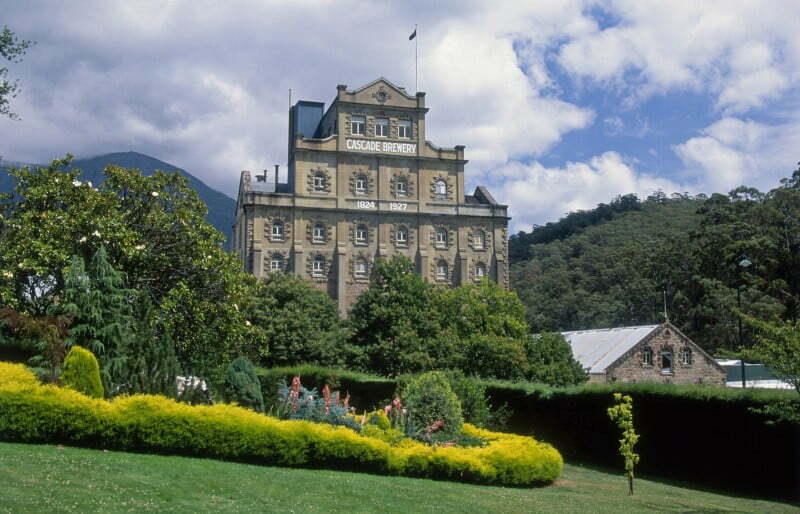 Despite its size, Hobart is awash with breweries, pubs, bars and distilleries. To make yourself feel less guilty for your boozy indulgence, why not pair the alcohol with a history class. The Alcohol History of Hobart Walking Tour takes you on a whirlwind trip through time and taste. 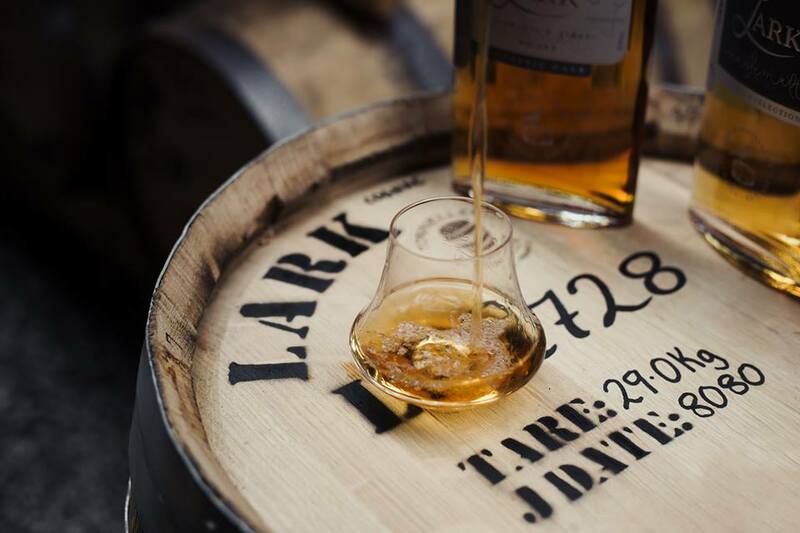 Over two hours you’ll sample Hobart’s best wine, ciders, whiskeys and spirits. Whoever said art was boring obviously hasn’t gorged on the sensory overload hiding underground at the Museum of Old and New Art. 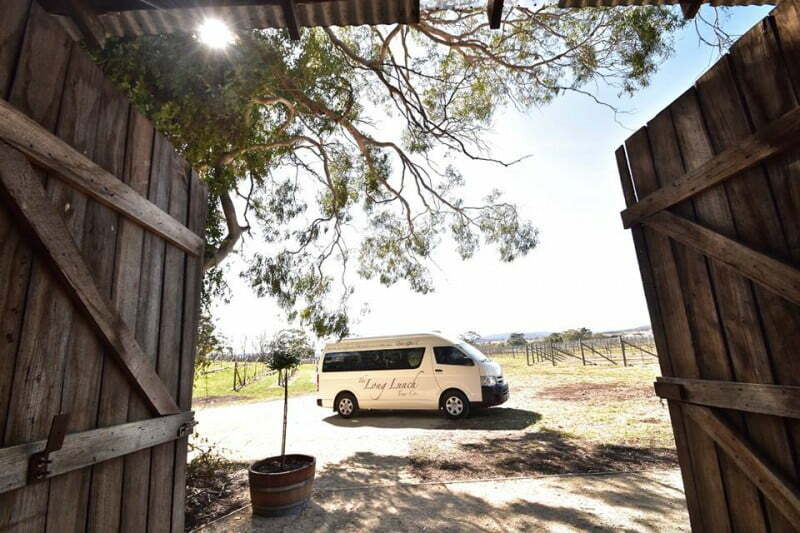 Hitching a ride on a short ferry or bus trip from the Hobart, arrive at the venue that has redefined Tasmanian tourism. Combining a $110 million private collection of arts and antiques, with a broad selection of dining options and an architectural feat taken straight from a James Bond film, MONA is not to be missed. 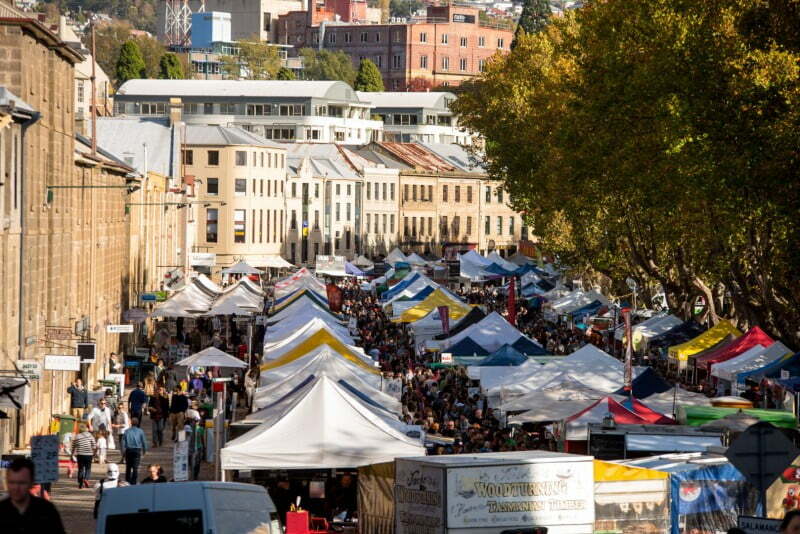 If you are planning a trip to Tasmania, be sure that come Saturday morning you are back in Hobart because rain, hail or shine, it’s time for the Salamanca Markets. Throughout the day thousands of foodies, wannabe foodies and tourists bustle up and down (and up again) the long strip of vendors tasting the wondrous Tasmanian produce and snapping up local goods. Be sure not to stroll past the mouth watering bagels by the team at Bury Me Standing. Life sure is easier when someone else makes all the decisions for you. 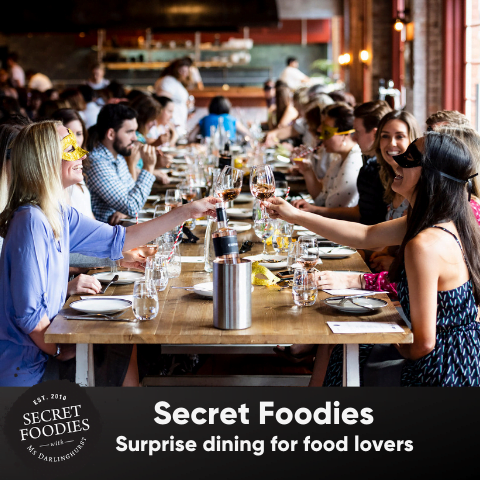 Picking you up from your accommodation, The Long Lunch Tour takes you just beyond the boarder of Hobart and exposes you to more of the state’s finest food, wines, spirits and more. Visiting three wineries and a cheese factory, the Long Lunch Tour still makes time for plump Tasmanian oysters, historic sites and Instagram opportunities. Be it for 24-hours or an entire week, there is an abundance of pleasures awaiting you upon your visit to Hobart. Just remember there is nothing wrong with loosening your belt buckle by the end of your trip!